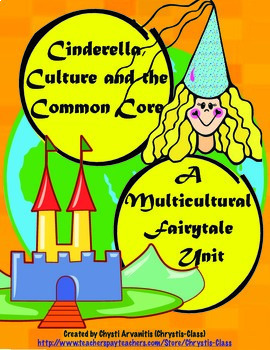 What better way for your students to learn about CULTURE and DIVERSITY than through the fairy tale genre, particularly Cinderella. 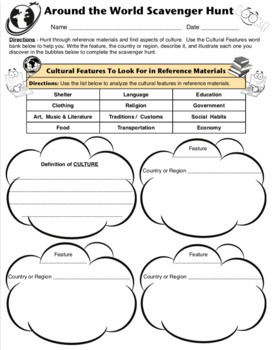 This unit gives you everything you need to integrate READING, WRITING, SPEAKING AND LISTENING, GEOGRAPHY, and WORLD CULTURE. 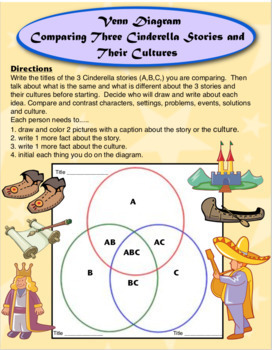 The projects, activities, graphic organizers and close reading questions work well with FAIRY TALES AROUND THE WORLD. It offers a large variety of student opportunities for every learning style, differentiation, and covers 4 Domains within the Common Core State Standards. 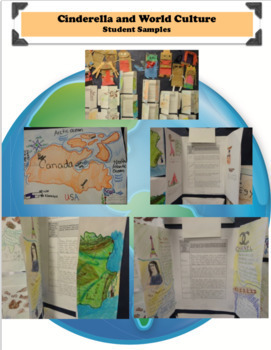 * CULTURE FOLDABLE PROJECT- Students use reference materials including maps to RESEARCH A SPECIFIC CULTURE. It’s important to me that teachers are completely satisfied with their purchase! If you have any question or concerns about this product please email me at chrystisclass@aol.com. Click on the “SCHOOLS” link above on this page (upper right). 1. Go to your “My Purchases" and click on the Provide Feedback link. Download the preview to see the full list of skills included and some sample pages. If you like this product, please visit Chrysti’s Class to see more. All new products are on sale the first 2 days after publishing. To find out about my new products, sales, freebies, and any product updates, click the star green ★ button at the top of my store page or when you download a free resource.